Elegance at it's finest is presented in this stunning combination of silver, black and white. With Christmas evolving from the traditional red, white and green it is bringing out some stunning monochromes. 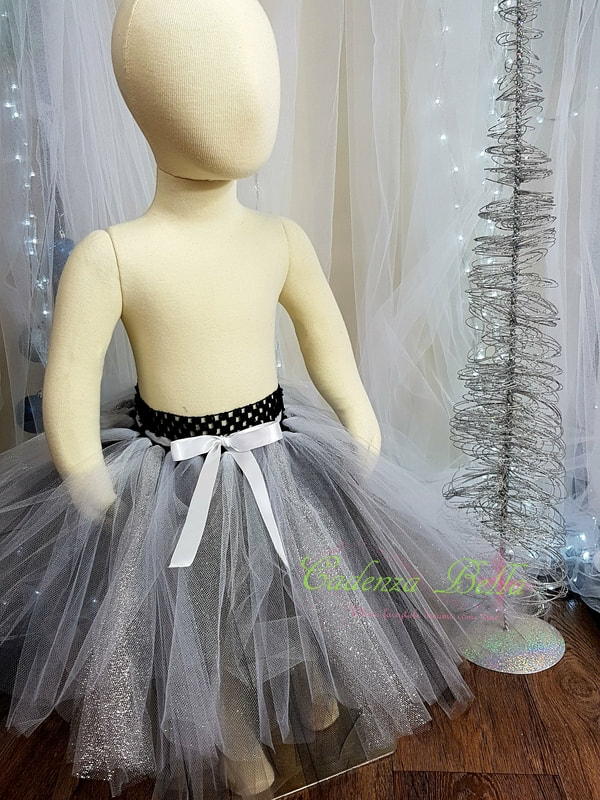 ​The best part is that this classic tutu can be worn all year round aswell. ​Prices are the same as standard pricing so please follow the links below to purchase.